There are several protections afforded pregnant employees in New Jersey. The New Jersey Law Against Discrimination (“LAD”) makes it illegal for employers to discriminate against an employee or applicant because of their being pregnant or because they suffer from pregnancy related medical issues. Accordingly, employers may be liable under the LAD if the employer knows, or should know, that a woman is affected by pregnancy and the woman is treated less favorably than other employees who are not affected by pregnancy. You must work for an employer who has at least 50 employees. You must work for an employer with at least 50 employees. So what happens if you are not fortunate enough to work for an employer with at least 50 employees, are you not allowed maternity leave? Well, under the LAD, your employer, regardless of size, may have to grant you maternity leave as a reasonable accommodation. Under the LAD, your request for maternity leave is reasonable so long as it will not cause an undue hardship to the employer. Obtaining maternity leave under the LAD is very fact specific and must be evaluated on a case-by case basis. Your employer has simply denied your request for pregnancy-related leave as you did not qualify for FMLA or NJFLA, despite the fact that granting you the requested leave would not be an undue hardship for the employer. 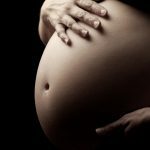 Of course there are many other examples of pregnancy discrimination. Chances are, if you think your boss is discriminating against you because you are pregnant or because you recently had a child, you’re probably right.